The Mercedes-Benz is ready to reveal two important products during China’s auto motor show, the Beijing Motor Show 2018 which is going to begin on April 25. It is already declared by the automaker to display two important models during the show. The Vision Mercedes-Maybach Ultimate Luxury Concept and the A-Class sedan are ready for international debut. The Mercedes-Maybach GLS SUV will reach the market in 2019 and a production version is likely to introduce at Los Angeles Motor Show this year. The Maybach GLS will compete the Range Rover SVAutobiography, Rolls Royce Cullinan, and Bentley Bentayga. This time the model will repeat some features of the new generation GLS. 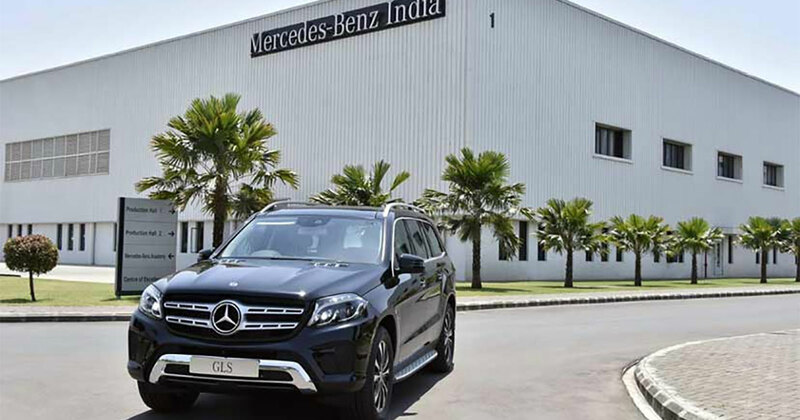 Christened as the S-Class of SUVs, it will be loved by the customer for being sheer size and luxury attributes. We can expect the Maybach version with new and larger alloy wheels, the more traditional Mercedes grille, new bumpers at the front and rear and some minor but effective changes in design. The changes are made to make the rear seats luxurious. The Maybach crest will extend it to touchscreen system, headrests, hood, and upholstery. You can also see updates such as revised rear legroom, plush materials, and reclining seats. The next-gen Mercedes-Maybach GLS also takes the standard kit and autonomous driving functions. Internally named as Maybach 9, it will own an aluminum and steel body along with the standard GLS SUV. The next-gen GLS will take inspiration from Mercedes-Benz's MHA (Modular High Architecture) platform based on current MRA architecture of the company. The Mercedes-Maybach GLS is powered by an AMG-developed 4.0-litre twin turbo V8 engine generating a peak power of 462 bhp and a peak torque of 700 Nm. This variant will be named as the GLS560, whereas the plug-in hybrid version, GLS560e will be powered by a 3.0-litre V6 engine generating a peak power of 357 bhp and a peak torque of 500 Nm connected to an electric motor generating extra 119 bhp/440 Nm. Amid the increasing fame of SUVs internationally, the companies also see the demand for uber luxurious SUVs. This segment can add a natural revision to current models of Mercedes-Benz GLS, Range Rover, and Audi Q7 customers. Same as the Mercedes-Maybach S-Class, we expect to launch Maybach GLS to India before next year end. With the option of personalization, we expect the car to be priced Rs. 3 crore.